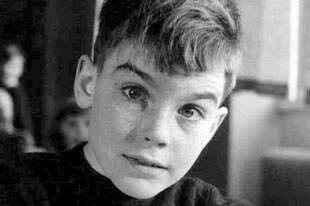 Lama Ole Nydahl was born on the 19th March 1941 north of Copenhagen and grew up there. He studied Philosophy, English and German at the University of Copenhagen, and in the U.S.A, Tübingen and Munich. 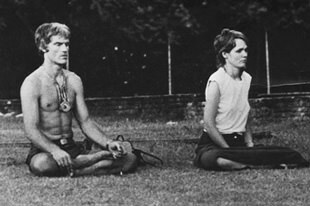 1968: Ole Nydahl and his wife Hannah Nydahl came across Buddhism for the first time whilst on honeymoon in Kathmandu, Nepal. Here they met Lopön Tsechu Rinpoche, one of the greatest Buddhist teachers in the Himalayan region. In 1969 they met and became the first Western students of the 16th Gyalwa Karmapa, who later sent them to bring Buddhist teachings to the West. The Karmapa is the highest Lama of the eleven-century old Karma Kagyu school of Buddhism, which teaches Diamond Way Buddhism (Skt. Vajrayana). Mahamudra (“The Great Seal” – tib. Chag Chen, the highest Buddhist view of the nature of mind) from His Holiness the 16th Gyalwa Karmapa. Kagyu Ngagdzö – the collection of “Treasures of the most important transmissions of the Karma Kagyu Lineage” from His Holiness the 16th Karmapa (1976) and Kontrul Rinpoche (1989). The Bodhisattva Promise (the promise to become enlightened for the benefit of all sentient beings) from Shamar Rinpoche, the second highest Lama of the Karma Kagyu lineage (1970). Kalachakra (The Wheel of Time Initiation) from Kalu Rinpoche, Tenga Rinpoche (1985), His Holiness the Dalai Lama (1985 and 2002), Löpon Tsechu Rinpoche (1994), Beru Khyentse Rinpoche (2009) and His Holiness Sakya Trinzin (2010). The 6 Yogas from Naropa (Advanced Tantric Meditations of the Kagyu transmissions); Lama Ole and Hannah Nydahl received this transmission 1976 in Ladakh together with Situ Rinpoche from his yogic teacher. Phowa (the Practice of Concious Dying) from Ayang Rinpoche (1972). And many more initiations and teachings from the above teachers as well as Dilgo Khyentse Rinpoche, Gyaltsab Rinpoche, Ogyen Tulku Rinpoche, Bokar Rinpoche, Gyaltrul Rinpoche and others. In 1972 the 16th Karmapa sent Lama Ole and his wife Hannah Nydahl to teach in the West. They were given the task of teaching and founding Buddhist centers in the Western world in the name of the 16th Karmapa. He empowered them to give the Bodhisattva Promise and to give Refuge, a ceremony where one formally becomes a Buddhist. Lama Ole has given refuge to more than 500, 000 people since then. 7 years later lama Ole and Hannah Nydahl were received by the Danish Queen and they presented her with a gift from the 16th Karmapa. 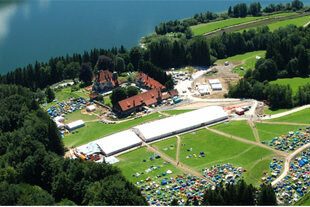 In 1972the first Diamond Way Buddhist Centers were built in Austria (Graz), Norway, Sweden and Denmark (Copenhagen). In 1974 the first center in Germany was built and since then throughout the rest of the world. Today he has founded over 600 centers worldwide. Since 1973 Lama Ole Nydahl and his wife have organised trips and lectures for the highest Tibetan Teachers throughout Europe and later in North and South America, Russia and Australia. Including H.H. the 16th Gyalwa Karmapa (1974-1977), Shamar Rinpoche, Jamgön Kongtrul Rinpoche, Gyaltsab Rinpoche, Beru Khyentse Rinpoche, Kalu Rinpoche, Topga Rinpoche, Tenga Rinpoche, Bokar Rinpoche, Lopön Tsechu Rinpoche, Trungpa Rinpoche, Ayang Rinpoche. As early as 1975, under difficult circumstances, Lama Ole began to teach and build centers in communist Poland. This was the start that brought friendship and strong connections to what had been the Eastern Bloc countries. In the following years Lama Ole spent his time taking care of his students and developing his centers throughout the world. In 1981 the 16th Karmapa passed away in Chicago. 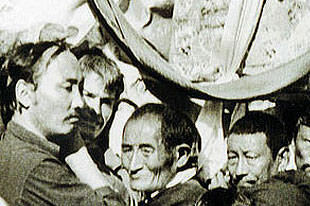 Together with high Lamas of the Karma Kagyu lineage, Lama Ole Nydahl carried the body of 16th Karmapa to his cremation in Rumtek. 1986 Lama Ole Nydahl travelled together with a small group of friends on a secret to Tibet. 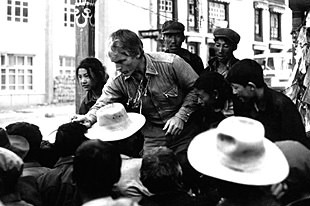 The trip was documented in the film “Secret Journey To East Tibet”. 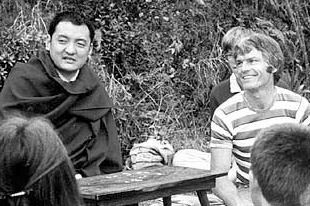 1987 Shamar Rinpoche, the second highest Lama of the Karma – Kagyus after the Karmapa, asked Lama Ole Nydahl to give Phowa courses (the practice of concious dying) to Western students. The first Phowa courses was given in Graz, Austria. 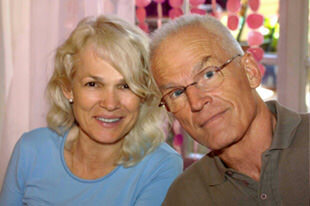 To date Lama Ole Nydahl has given this meditation course to over 75,000 students worldwide. 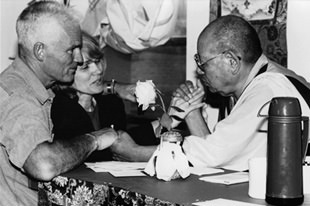 In 1989 Lama Ole Nydahl founded the first Diamond Way Buddhist Center in what was then the Soviet Union. Later Diamond Way Buddhism was officially recognized as a religion in Russia and since then Lama Ole Nydahl has travelled with up to 200 students through Russia on the Trans-Siberian railway to Vladivostok every year. Since 1992 he has concentrated on the work given to him by his teachers together with the 17th Karmapa Trinley Thaye Dorje who was appointed by the Shamarpa. For example these include: Lopön Tsechu Rinpoche, Lama Jigme Rinpoche, Sherab Gyaltsen Rinpoche, Gendün Rinpoche, Shangpa Rinpoche, Beru Khyentse Rinpoche and many others. Shamar Rinpoche introduces the 17th Karmapa Karmapa Trinley Thaye Dorje in New Delhi in 1994. In 1999 Lama Ole and Hannah Nydahl, Caty Hartung and the Buddhistischer Dachverband Diamantweg e.V. (umbrella organization of over 100 Diamond Way Buddhist centers in Germany) founded the charitable foundation “Buddhismus Stiftung Diamntweg”. Lama Ole Nydahl donates his entire intellectual property to this organization. 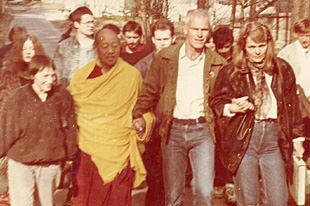 In the year 2000 Lama Ole Nydahl invited the 17th Karmapa Trinley Thaye Dorje to Europe. 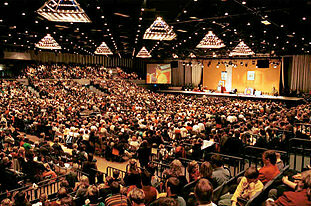 The then 17 year old Karmapa was met by 6000 students in Dusseldorf (Germany) for the first time on European soil. During his stay he gave many initiations and lectures. In 2003 Lama Ole Nydahl, together with 72 students from 36 different countries, travelled to Bhutan at the invitation of Löpon Tsechu Rinpoche. Amongst others they met Je Khempo the highest Buddhist dignitary in Bhutan and a member of the royal family. On 10 June 2003 Löpon Tsechu Rinpoche passed away at the age of 85 and in the same summer Lama Ole Nydahl met with a life threatening accident whilst undertaking his 88th parachute jump. As a result, he was unable to take part in his planned lecture tour due to health reasons. In October 2003 during an initiation at the largest Stupa ever built in Western world, constructed by Lopon Tsechu Rinpoche in Benalmadena, Spain, he resumed his duties as a Buddhist Teacher. 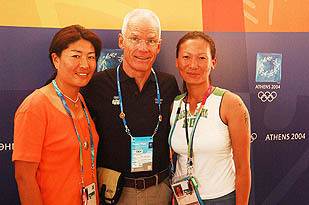 In 2004, the Olympic Committee asked Lama Ole Nydahl to provide the Buddhist services for top atheletes from around the world at the “Religious Service Center” in the Olympic Village in Athens. Selected by Lama Ole Nydahl, an international team of Buddhist teachers speaking 7 languages took care of the atheletes over the coming weeks. On 1st April 2007 Hannah Nydahl passed away in Copenhagen at the age of 60. She was a very sought after translator for translations from Tibetan into English, German and Danish. Hannah Nydahl taught at the Karmapa International Buddhist Institute (KIBI) in New Dehli (India) and was involved in the translation of many Buddhist texts. She also took care of many high Lamas of the Karma Kagyu lineage during their visits to the West and taught many advanced meditation practices. In 2007 the Buddhist Stiftung Diamantweg acquired “Gut Hochreute” on the Großen Alpsee in Immenstadt (Germany) and established the so called “Europe Center” of Diamond Way Buddhism. 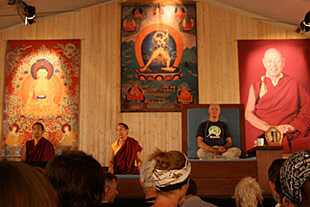 Here the International Summer Course takes place and is attended by many Tibetan Lamas and Western teachers. The course is visited by students from over 50 countries. 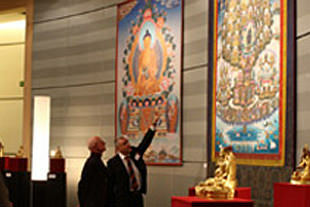 In 2008 Lama Ole Nydahl officially opened the exhibition “Timeless Values – Treasures of Himalayan Art” in the European Parliament in Brussels. The exhibition of the Buddhismus Stiftung Diamantweg showed over 40 exhibits from Nepal, India and Bhutan. 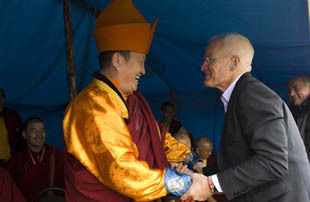 In 2009 Lama Ole Nydahl escorted the 17th Karmapa Thrinley Thaye Dorje on his first Russian tour. There he was received by the highest Buddhist dignitary in Russia, Hambo Lama. 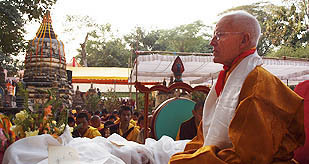 In 2010 Lama Ole Nydahl was invited to take part in the Kalachakra Initiation given by His Holiness Sakya Trinzin, the highest Lama of the Buddhist School of the Sakya tradition. On August 23, 2010 the Kalachakra Stupa in Karma Berchen Ling, Greece, was inaugurated after more than 20 years of preparation. 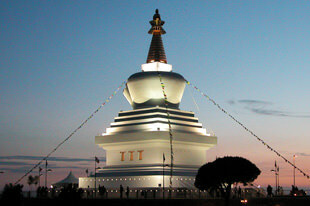 The project to build this Stupa was originally initiated by Lopon Tchechu Rinpoche and accomplished by Lama Chogdrup Dorje. More than 2,500 Buddhists from all over the world, guests from the Greek authorities as well as people from the surrounding area joined the ceremony with Lama Chogdrup Dorje and Lama Ole Nydahl. 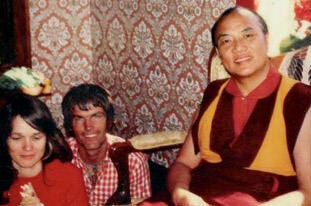 The year 2012 marks the 40-year anniversary of Lama Ole Nydahl’s work and of Diamond Way Buddhism in the West. HH 17th Gyalwa Karmapa and other high Kagyu lamas took the opportunity to thank Lama Ole for his unceasing activity for Buddhism in the West. Read more in a dedicated article 40 years of Diamond Way Buddhism. 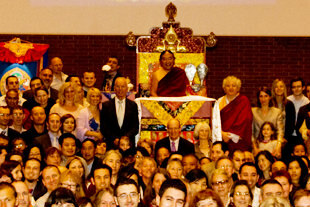 In 2012, Lama Ole teaches at the invitation of the Royal Family in Bhutan. He meets the Queen Mother of Bhutan and visits a special Buddhist temple with her. Then he is invited to the Kagyu Monlam in Bodhgaya, one of the most important religious events of the Karma Kagyu lineage. At the place where the historical Buddha attained enlightenment, the lineage holders and high masters practise together with thousands of Buddhists from the Himalayas. 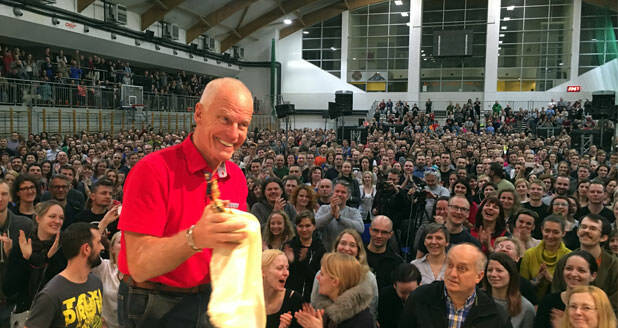 On the night of his 75th birthday on 19th March 2016, Lama Ole Nydahl gave teachings in Warsaw. About 4,000 students congratulate him during the lecture. 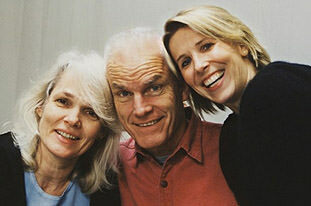 A compilation of Lama Ole Nydahl’s answers to questions asked in his lectures over the years.